Australia emerged from the war in a decidedly optimistic mood. 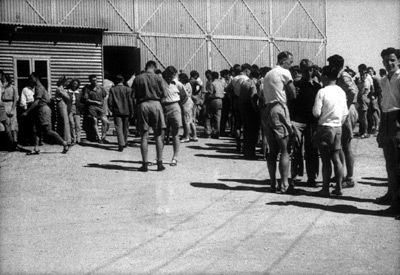 The death toll amongst graduates was lower than the previous war, and a generation of young engineers emerged to help rebuild the world, an idealistic view that motivated many people in peacetime to begin studying engineering. In just one year, student numbers rose from 289 to 504, many who were beneficiaries of the Commonwealth Reconstruction Training Scheme, members of the armed services who wished to study at University. Severe budgetary restraints in Melbourne reduced the resources for current and future development, however prosperity did begin to grow, fuelled by high wool prices and increased government spending on transport and education (a result of renewed levels of immigration). Under wartime pressure, many products of engineering science were tested and refined and were able to be used immediately in peacetime civilian life. A sustained population growth and immigration provided a rapidly expanding industrial economy, and the foundation for Australian growth was said to be steel, transport and water (all engineering domains). 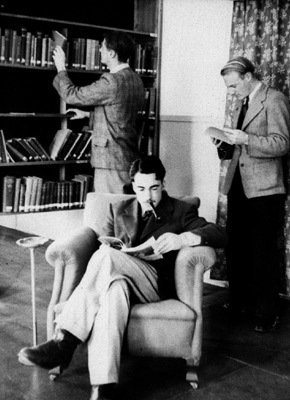 Whilst the debate about university-trained versus vocationally-trained engineers continued, most of the senior engineers engaged in large projects were university graduates, and WWII had done much to show industry and governments all over the world how scientific research could be used both as the foundation for new engineering development and to accelerate developments that were already underway. By the late ‘40s, Victoria had become an urban-industrial economy with more than twice as many workers employed in manufacturing as in all the primary industries combined. The Civil Engineering Department was the largest in the Faculty, and presented a complex challenge. The predominance of civil engineering students was due to the large numbers of engineers needed in Victoria to take care of rural development, provide transport and communications and to store and control water resources. The challenge of the Department was that it needed to develop a stronger scientific base to its curriculum, and embrace a much larger role for research, yet not deviate too far from its ‘civil’ characteristics. The wartime experience drew attention to the need for deeper academic underpinning to the science of surveying, and the urgent need to systematically map the whole of Australia. Luckily Darwin bequeathed £27,000 to further the works in the Civil Department, and by 1949 a new course devised for surveying drew on European models which were heavily scientific and deeply grounded in maths and geodesy, opening the way to sustain research activity in a post-war era. It seemed the whole University was growing rapidly in the forties, and between 1945–50 the university staff doubled in number. In June of 1946 the University Council invited applications for three chairs in Civil, Mechanical and Electrical Engineering, each at a higher salary paid than Burstall. In the late ‘40s the Commonwealth provided some much needed funding for extra building and temporary staff, though shortages of building materials and skilled tradesmen delayed work. 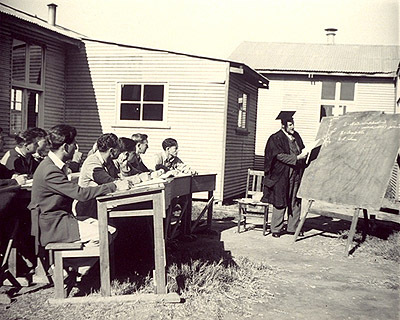 In stark comparison to dwindling numbers in previous years, by 1947 the Faculty was so over-crowded that all first-year students were sent to join science students on a residential campus near a converted airfield in Mildura. Make-shift army huts appeared all over the Melbourne campus, including a large H-shaped complex to house the burgeoning Architecture Faculty on the lawns in front of the Engineering School (which stayed there until 1964). Some classrooms were even held outdoors, to accommodate for the ill-equipped facilities. By 1949 the Faculty offered a degree course in Surveying and the Snowy Mountains Scheme began, and by 1950 there was a fee increase of 75%.